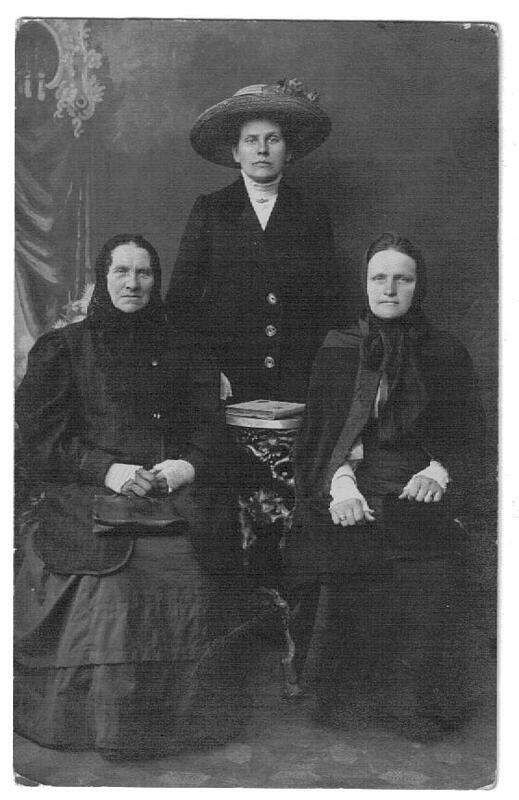 While chronicling coal-mining immigrants to Springfield in the early 1900s, I haven’t written much about the Lithuanian immigrant women they married, whose lives were equally, if not more difficult. Last week I heard the remarkable story of Lithuanian immigrant and super-mother Nancy (Anastazija Benikas) Pazemetsky, who did the impossible: keep alive, at home, a premature twin baby girl who weighed only 1.5 pounds at birth. That baby, Ann Pazemetsky Traeger of Springfield, is now more than 87 years old. Ann tells me when her mother first arrived as an unmarried young woman, she worked at the downtown Leland Hotel, where she received room and board and $8 a month for labor that included scrubbing the sidewalk outside on her hands and knees. Once a woman was fortunate enough to marry, it was her job to keep the home and garden and children, often with little money and a husband who was idled by the mines a good part of year. Many had to board single male miners and clean homes to supplement the family’s income. Some had to compete with the corner tavern for their husband’s wages. And almost all, it seems, faced the heartbreaking loss of newborns, infants, or children. Adam and Nancy (Benikas) Pazemetsky wedding. Baby Ann was placed in a cloth-lined wooden cigar box warmed day and night with hot water bottles. Ann says she was so small that she might have been fed with a dropper and diapered with handkerchiefs. But to mother Nancy’s tremendous credit, baby Ann did live and grow up with her older sister Helen. Ann went on to graduate from Feitshan’s High School, marry Al, a federal highway engineer, work at Pillsbury Mills for many years and sing in the renowned choir at St. Vincent de Paul Lithuanian Catholic Church. Ann is a devoted former St. Vincent’s parishioner who served the church in many leadership roles, and was a founder of our local Lithuanian-American Club. For Ann’s immigrant mother Nancy Benikas, life demanded extreme bravery more than once. Ann often thinks now of the courage it took for her mother to sail all alone to America when she was just 18. 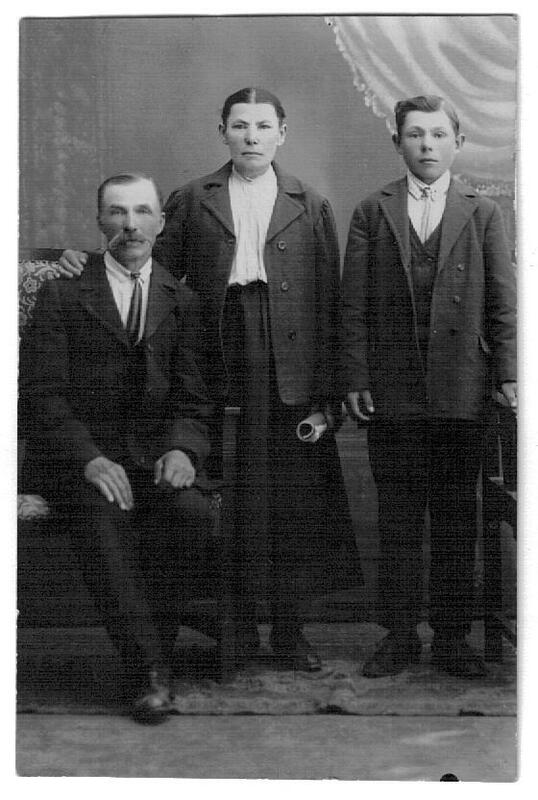 Nancy’s Lithuanian family intended to send one of their daughters to live near Ann Mazrim, their maternal aunt in Springfield. Nancy was chosen when her sister became ill at the last moment. Then the first ship she was supposed to take sank before the passengers boarded. Fate smiled on her, however, when she was the only passenger not to get seasick during her subsequent transatlantic voyage. 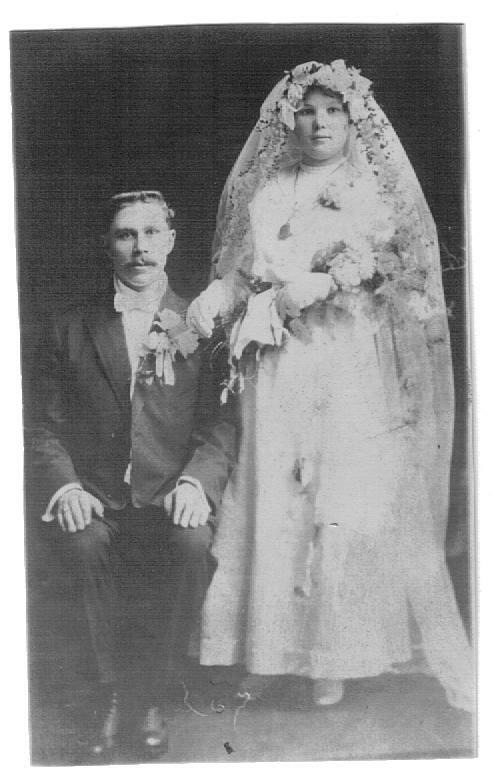 After arriving in Springfield, Nancy married Panevezys, Lithuanin-born coal miner Adomas Pazimtsius (Adam Pazemetsky) 1884-1946. Both struggled to make the family’s living when the mines closed for the summer. Adam dug basements for $1 a day and scythed cemetery grass. Nancy cleaned homes for $1 a day. Later, possibly as a result of the “Mine Wars,” Adam worked at Pillsbury Mills. 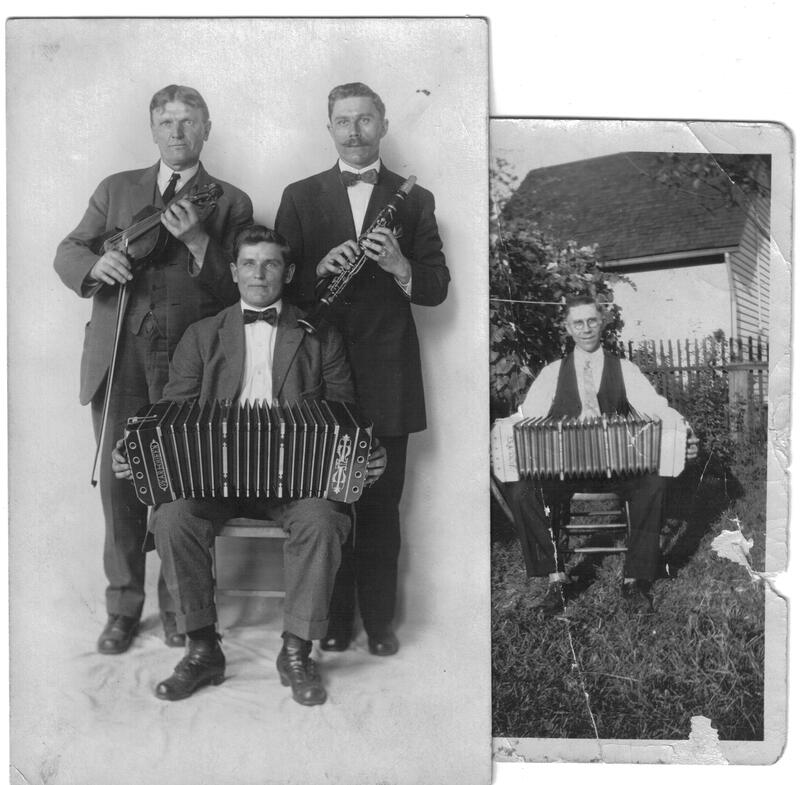 Left photo: Adam Pazemetsky with clarinet, Mr. Karalitis with fiddle, and Mr. Petrovitch seated, with concertina. 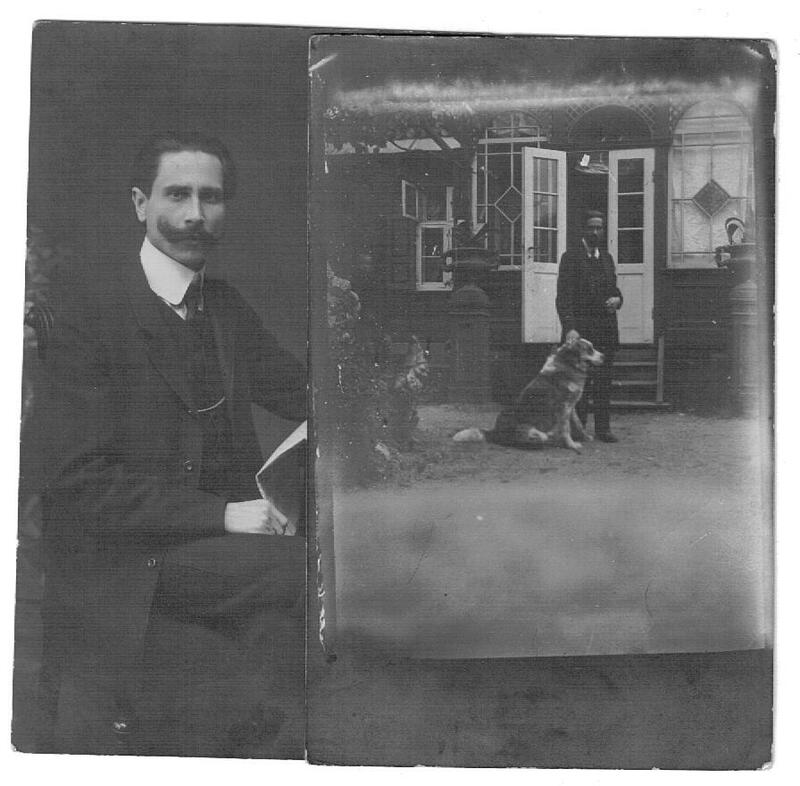 Right photo: Pazemetsky with concertina. Ann remembers that even though the family lived at 17th and East Adams, almost two miles from St. Vincent de Paul Lithuanian Catholic Church, her father Adam, so devout that he always carried a pocket-size Lithuanian-language prayer book printed in 1863, insisted that she and Helen walk to and from church every Sunday. That may not sound so tough, except when you consider that on Christmas and Easter, when the high mass was at 5 a.m., this meant the children being up and out of the house around 4:30 in the morning. While Adam carried his prayer book with him even into the darkness of the coal mines, his brother was able to express his religious devotion in the new republic of Lithuania (1918-1940) by becoming a priest, which is probably the course Adam would have liked to take, had he the opportunity. Adam found his life as a coal miner so difficult and limiting that mother Nancy later told Ann that her father often went outside in the evenings to cry so his children wouldn’t see him. Ann also remembers with particular fondness her father’s musical talents with the clarinet and the concertina, which he frequently played at Lithuanian weddings. She reports that he often played a special wedding song he had written as the newlyweds arrived at the bride’s home for their reception and a sweet, hot swig of whiskey-based krupnikas. 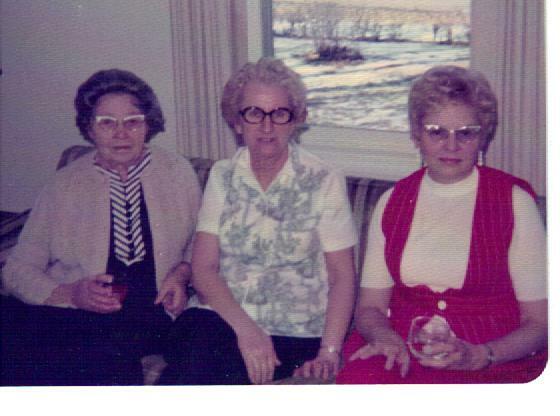 L to r: Nancy Pazemetsky, friend Bernice Kurila, Ann Pazemetsky Traeger, circa 1985. 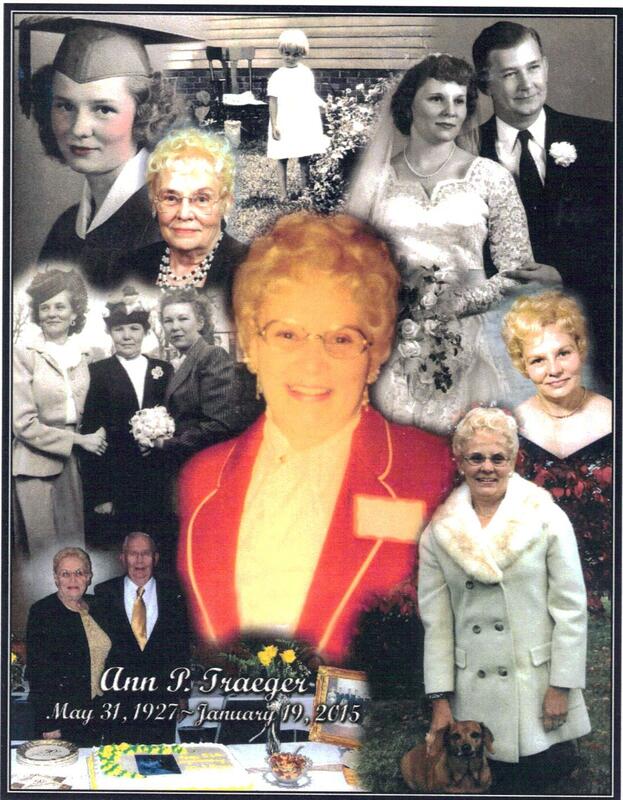 Dedicated to the memory of Ann Pazemetsky Traeger, a dedicated, beautiful lady and my friend. I remember my dad telling me about a one pound infant. It must be the same one. 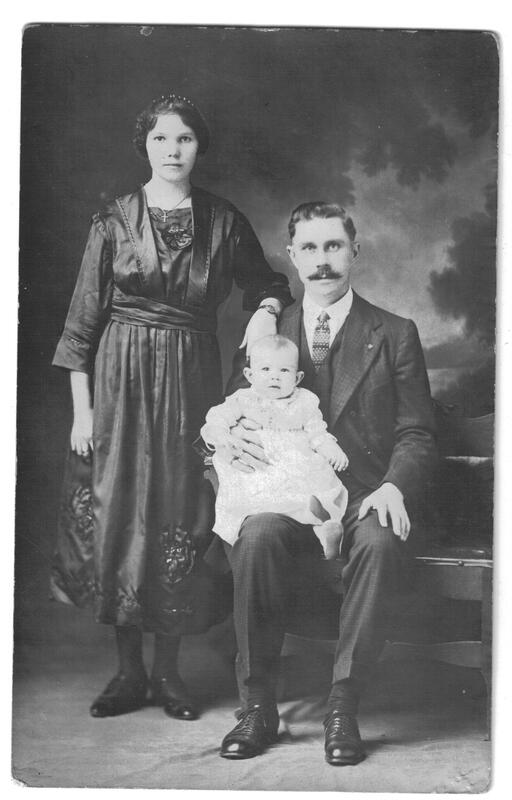 One pound infant surviving in those days? Impossible. Amazing story. A mother granted a miracle! What an amazing and moving story! And it reinforces my thought that you can’t stop the stubborn and hard-working Lithuanian women. once they make up their minds about something! Great story Sandy!! I enjoy reading the blog! An amazing story. Thank you, Sandy. In the last photo, the friend is Bernice Kurila.